Editor's note: Many in the foreign community have been confused and frustrated by recent changes to China's visa and alien residence rules. One set of regulations was issued July 1 only to be replaced by another on September 1. Below is the best distillation of current policies regarding visa laws we have found online. It is reprinted here in its entirety with permission from news magazine China Briefing (requires proxy). GoKunming would like to thank the original authors and publisher. The Chinese government released the "Administrative Regulations of the People's Republic of China on the Entry and Exit of Foreigners (Order No.637 of State Council, hereinafter referred to as 'Regulations')" on July 22, which updates the current visa system and introduces several changes to the application of the residence permit. The Regulations will take effect on September 1, 2013, with the previous administrative regulations on the entry and exit of foreigners scheduled to be abolished concurrently. Detailed information can be found below. One of the distinct features of the Regulations is the introduction of the R visa, which aims at attracting global talents that the country urgently needs. The R visa applies to senior-level foreign talents and professionals whose skills are urgently needed in China. Applicants for the R visa need to satisfy the requirements stipulated by the relevant competent authorities and must provide relevant documentation. Currently, foreigners with an L visa may come to the country for tourism, family reunions or personal affairs. As this visa category doesn't precisely correspond to the purpose of these various types of visits, the Regulations have limited the L visa to tourism purposes only and, at the same time, the Regulations introduce two "family reunion" visas – the Q visa and the S visa. The Q visa is created in response to calls by overseas Chinese for improved exit and entry procedures, and will be issued to overseas Chinese visiting relatives in the country. The S visa will be issued to the relatives of foreign residents coming to China for family reunions. Under the current visa system, the F visa is applicable to foreign citizens who come to China for commercial and non-commercial purposes including business activities, scientific and culture exchanges, short-term study and internships. After the Regulations take effect, the F visa will only be issued to foreign visitors coming to China for non-commercial purposes, such as cultural exchanges and inspections. Meanwhile, a separate M visa will be added and will be issued to foreigners coming for business and trade purposes. 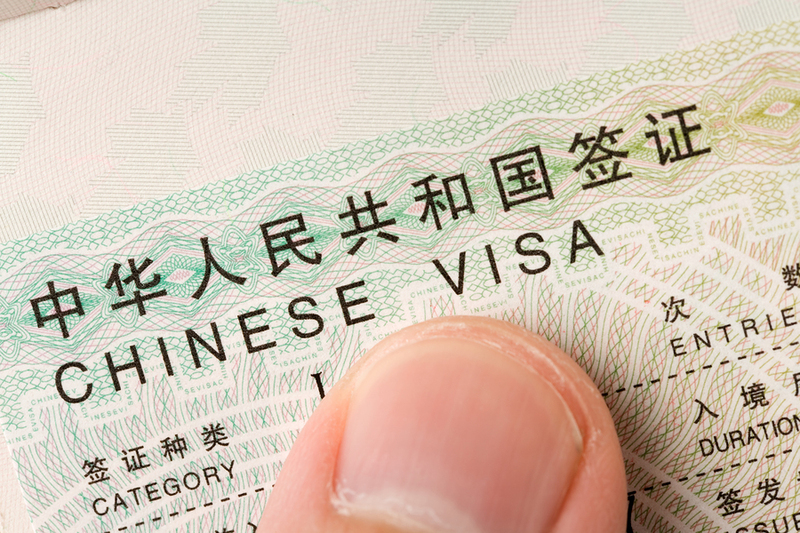 The Regulations have divided the current X student visa into the X-1 visa and the X-2 visa, with the X-1 visa applying to foreigners coming to China for a long-term study period (greater than 180 days) while the X-2 visa applies to foreigners coming to China for a short-term study period (less than or equal to 180 days). Currently, foreigners holding a D visa, Z visa, X visa and J-1 visa must obtain a residence permit within 30 days upon entry. The processing period for applications of the permit is 5 business days upon the receipt of the application. However, the processing period has been extended to 15 calendar days under the Regulations. Foreigners who apply for residence permits should submit their passports (or other travel documents) along with photos and other supporting documents to the local exit and entry administration authority above the county level, and shall provide fingerprints and other human biometric information at the same time. Foreign nationals shall provide a health certificate when applying for a residence permit that is valid for more than one year, and such certificates are valid for six months from the date of issuance. According to the Regulations, financial, educational, medical and telecommunications institutions can verify foreigners' identities with the exit-entry administration authorities when necessary. The Regulations provide that relevant entities must report to the local entry and exit administrative authorities if the foreign nationals employed by them have left their jobs, changed work locations, or if the overseas students enrolled by them have left. It has been provided in the Regulations for the first time that if foreigners holding study residence permits need to take part-time jobs or internships outside the campus, they shall obtain approval from their academic institutions and apply for a residence permit with an annotation of location and term of the part-time employment or internship from the entry and exit administrative authorities. Foreigners whose study residence permits are not annotated with the information mentioned above are not allowed to take part-time jobs or internships outside the campus. •	Other illegal stay situations. This is a good writeup of the rules, but it doesn't address a lot of the specific ways in which the application process has changed, or the fact that the rules are applied in different ways for different regions. For instance, AFAIK, the Kunming labor bureau is now requiring "certificates of clear criminal record" from all applicants, including applications for extension, while Beijing only requires it for new labor permits. Also, the Kunming PSB hasn't said anything about taking 15 days to issue a residence permit. It also does not address which of the VISAs may be issued (on renewal) here in Kunming. For example, can my wife and I change from L visa to Q and S without having to leave Kunming? I didn't really understand. If i study in China, Can i get an appartment ? Or should I stay at the campus ? Probably pointless expecting to get a definitive answer from the PSB until they sorted out what they are going to do. A sad time of trial and error for nayone habing to go through it in the next few months. "Foreigners who travel and stay outside of the allowed stay or residence area"
Since when are there geographic limitations on where foreigners can go and stay (other than the obvious...Tibet and military zones). Every time I read about new visa laws and regulations I get nervous and freak out. I am married to a lovely Chinese lady and yet still want to work for a many more more years with no hassles. This year I had my first taste of some things as we did out own residence permit rather than having a school dousing it, as the school had no apartments. Even though we owned an apartment here it was not so easy really but in the end it all worked out, but it was a taste of things when you are not having a a school HR person do everything for you. I have read on some of th8s stuff before and I think one thing we we North American or European foreigners can try to keep in mind is that in the su7m total of foreigners in China we are a minority. 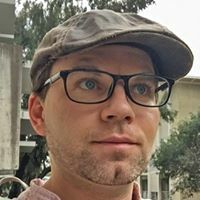 China is having lots of problems with Asian foreigners who can blend in well an get fake IDs, and speak the language better than most of us can (better than me for sure). A lot of crime problems and illegal working issues are with Asian people who are not Chinese and I think it is good when your hyperventilating (like I do at times) reading all for this is that China is more than likely not trying to make things harder than they already are here for Westerners. But the regulations have to be uniform in order to even have a fighting chance to implement them. More visa changes - incredible. Orlianne, in Kunming, anyway, you can live where you want (apartment, whatever), and I think this is true in most places now. I went to the visa office today to ask about the new regulation that said students can work on a student visa... they didn't know what I was talking about.. Finally when I got someone who did have an inkling, they said they didn't know how to go about it. Typical. OK, lots of changes and new information we need to know about. Let me start by answering my own question. If you are here on an L Visa, visiting family, then you can change to the Q or S Visa without going out of China. Also, since those two Visa classes lead to a residence permit they will do the residence permit at the same time as the Visa so no extra trip to the PSB is needed. First of all, my wife is here to take care of her sister who is seriously disabled after a major stroke. That's no problem for the Visa, however, they now wanted proof of the relationship which we never had to provide before! That required a trip to the police station to have them go through the archives (manual records - not computer) to find that information. I was quite impressed that they located it in only 10 minutes. I just have to prove my relationship with my wife to get the S Visa with the same expiry as my wife. I'm guessing they'll also want the health certificate for a 2 year. For many years now they've just been accepting our marriage certificate. Now they want that certificate notarized by the consulate. That means I have to make a trip to Chongqing (Canadian Consulate) to get that done at a greater expense than a taxi trip to the PSB. I'll need to phone and ensure that the Canadian consulate will do this for a marriage certificate issued in Las Vegas or do I then need to go to the American consulate in Chengdu as well? The new rules seem a bit strange, but in the long term will be quite a bit more convenient for us. Also, if they're issuing longer term visas then there should be (eventually) a reduction in the workload at the PSB. Give a little, get a little. Better than the usual. Thanks AlPage48 for the info. I went to renew my L visa yesterday. Apparently, another new rule since Sept. 1 requires all foreigners to get visa photos taken at the on-site photo shop. 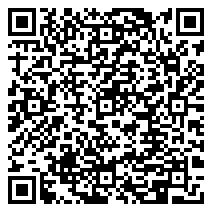 They upload the photo to the PSB database and give you a scanned copy with photos. This added step will set you back another 30 kuai. I saw groups of students accompanied by a school representative applying for visas so it's possible the school can't take care of the visa like they they used to; you might have to go in person now. Anyway, don't bother to get photos done beforehand. They won't be any good. University of Science and Technology staff say you can only renew a visa on or before one month of the date of the visa's expiration.. This website has very clear explanations and case studies.